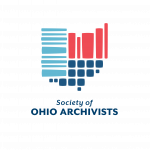 The SOA Nominating Committee would like to announce a call for nominations for two open SOA Council positions and the SOA Treasurer position. Self-nominations are welcomed and encouraged, as are peer nominations. All positions are for two year terms of office. Candidates must be current SOA members in good standing and be willing and able to attend regular council meetings and business activities (both in-person and virtually). The election will be held during the SOA Annual Business Meeting held during the SOA Spring Meeting on Friday, May 18, 2018. Candidates will be required to write a response to a question to be printed in the Ohio Archivist prior to the election. I would also be happy to answer any questions about the positions. Please respond to me with any nominations by Friday, January 5, 2017. This entry was posted in SOA Council on December 8, 2017 by Andrew Harris.